Assam is a Northeastern Indian state surrounded by Nagaland, Manipur, Mizoram and Meghalaya. The region is mostly hilly with prime rivers Brahmaputra and Barak provide greenery and rustic flora and fauna. 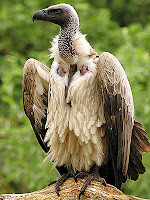 Assam tourism is mostly tagged with its distinct wildlife especially variety of birdlife which is pride of the state. 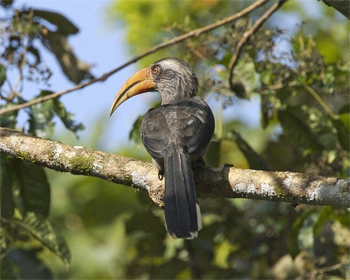 Assam bird watching tours are really a great opportunity to the world wide bird watchers who visit and enjoy watching the explicit bird life in their natural surroundings. Assam is very much popular for its wildlife sanctuaries. Major wildlife sanctuaries are Kaziranga National Park, Chakrashila Wildlife Sanctuary and Dibru-Saikhowa Wildlife Sanctuary. Kaziranga is the central attraction of tourism in Assam. More and more tourists from worldwide places are visiting this wildlife National Park. There are around four hundred eighty species of birds recorded at this park. The variety of birds in this park includes the beautiful migratory birds, classic raptors, scavengers, waterfowl and terrestrial birds. Rare game birds seen here are Swamp falcon, bustards and pigeons. Indian hornbills are the pride of this region. Bird watching tours in the form of Jeep safaris to the eastern range of the park offer a unique experience to the visitors. Kaziranga National Park is divided into different regions for the sake of convenience. There is a good concentration of raptors, fishing birds and waterfowl in the Eastern range. Central range is great for migratory and grass land birds. Western range shows a combination of both varieties. The diverse habitat of Kaziranga which covers grasslands, tropical forests, marshlands to large lakes is the perfect heaven for the birds. Assam bird watching tours start from Guwahati and cover many places full of exciting bird life like Deepor Beel, Pobitora, Panbari Reserve Forest in Kaziranga, Dibru-Saikhowa wild life Sanctuary and Namdapha National Park in Digboi. Whenever you are planning a tour of Assam remember to include the incredible Bird watching tours of Assam in your schedule. There are many types of accommodations spread around the entrance gates of the park. Jungle home resorts at Kaziranga offer beautiful accommodations in the vicinity of nature. Prior your tour of Assam you can book one of the resorts near the gates of the Park.